President of Lagos New Century Lions Club, Oluwatoyin Omange said that calls for the creation of more awareness on the disease had becomes more important due to increasing number of people who were succumbing to the disease owing to lack of knowledge. She said this while speaking with journalists on activities lined up for her Investiture and Charter Presentation schedule to hold on November 18, at Lagos Country Club, Ikeja GRA, Lagos . Omange said the club would join other clubs in Region 2 to mark 2018 World Diabetes Day by providing free Diabetes Screening exercise to general public on Saturday, November 17, at Oba Salami Health Care Centre, Onayande St, Fadeyi , Yaba, Lagos. She added that the free medical services would also include BP check, vision check and free eye glasses, health talk and consultations. The clubâ€™s president, while enjoining residents and the public to come out en masse to get tested and also take advantage of the health talk and free consultation, also said regular diabetes tests enabled those with the disease to receive proper medication and live longer. â€œMost people relate diabetes to the consumption of sugary products, which is wrong. In some cases we have hereditary victims of the disease while others get it mainly from eating habits. 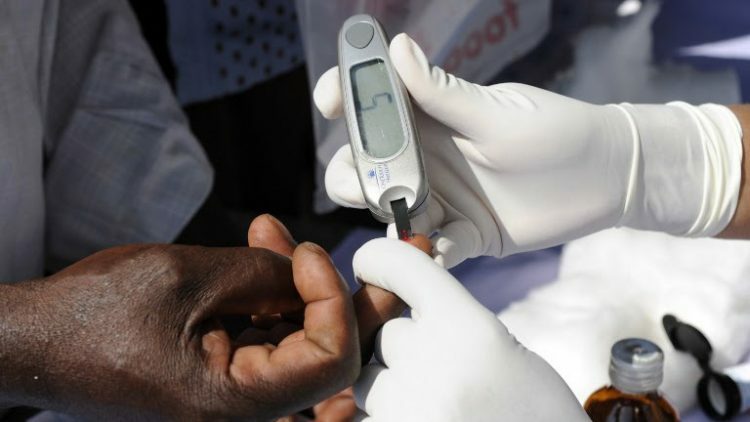 â€œThe decision to organise the free diabetes screening was borne out of desire to ensure the scourge is tamed, Diabetes has become a silent serial killer, many still keep playing to the gallery about it, many more are not even aware of their status talkless of taking steps to start taking precautionary measures, the disease is currently ravaging Africa and Nigeria has millions of patients of both types 1&2â€, She said.